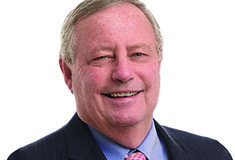 While the global economy is on the mend and the markets wage a comeback, the financial crisis served as a strong reminder for commercial landlords to remain vigilant in their efforts to minimize exposure. Letters of credit are one way that commercial landlords have successfully mitigated risks associated with tenant bankruptcy. These instruments have additional benefits to landlords and are a compelling alternative to conventional security deposits. A letter of credit is a financing facility where a bank guarantees the obligations of a tenant (up to the amount of the security deposit) to a landlord. Unlike cash, letters of credit will not become subject to claims by a tenant's creditors. Indeed, if a tenant files for bankruptcy, the landlord may present the original letter of credit and a statement that a default has occurred under the lease, and the bank will pay the amount requested up to the letter of credit limit. Letters of credit sit outside of creditors' reach because they are viewed as the obligation of the bank. Therefore, drawing on a letter of credit is not prohibited by the bankruptcy filing, and the letter of credit can be used to pay the amounts owed to the landlord. In contrast, cash security deposits become part of a tenant's bankruptcy estate if the tenant files for bankruptcy before the landlord applies the funds. As such, the landlord may not get the benefit of the full amount of the security deposit. Doesn't a guarantor ease the burden? Sometimes. However, an individual guarantor may face his or her own exposure associated with the tenant's bankruptcy. An independent banking institution is a much safer bet. Under bankruptcy law, an "automatic stay" prohibits a creditor from pursuing a debtor in any way, including sending a default notice. If a lease states that an "event of default" occurs only after notice has been given, and the letter of credit states that an "event of default" is a pre-condition to a draw, the automatic stay can actually prohibit the landlord from drawing on the letter of credit. To get around this, the landlord can go to bankruptcy court, seek (and likely get) relief from the stay, and draw on the letter of credit. This is an expensive and time consuming process. What's a Landlord to do? Commercial leases should not condition a landlord's ability to draw down on the letter of credit in the "event of default." Instead, landlords can assert their right to tap the letter of credit following a simple statement that a breach has occurred under the lease. Importantly, the FDIC is not required to honor letters of credit of banks that fail. To address this, the lease should provide that the bank issuing the initial letter of credit should be acceptable to the landlord. In addition, if the bank becomes materially weaker during the lease term, the tenant must provide a replacement letter of credit from another bank acceptable to the landlord. While we often feel that "cash is king,"this principle must be balanced against the risks and threats facing an industry. For commercial landlords, tenant bankruptcy is a serious concern. To minimize exposure, letters of credit are a financing alternative that make good business sense and help to prevent litigation. The use of such instruments must be supported by properly drafted lease agreements and steadfast monitoring of the issuing bank's health. 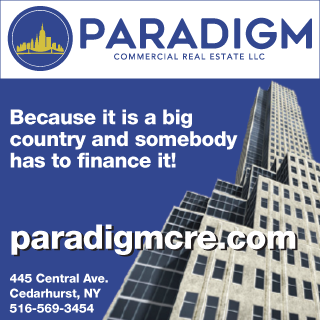 Amol Pachnanda and Michael Capozzi are real estate attorneys at Ingram Yuzek, New York, N.Y.